This May, Captain America: Civil War is kicking off Phase Three of the Marvel Cinematic Universe with a bang. Only a year after the Avengers stopped Ultron from wiping out humanity, most of Earth’s Mightiest Heroes, along with a few new players, will do battle following the passing of the Sokovia Accords and superhuman registration becoming law. It’s hero against hero, along with a few actual antagonists thrown in. Just like the original 2006 storyline, there are going to be tremendous consequences from this conflict, not just for Captain America’s movie series, but the entire MCU. The consequences of Civil War will have an even more significant impact [than The Winter Soldier]. In Civil War, we're going to change the Marvel Cinematic Universe's Psychology, and it's an extreme shift. 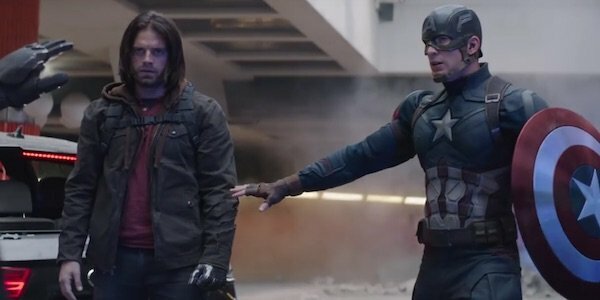 Of all the non-ensemble Marvel movies, Captain America: The Winter Soldier arguably had the biggest fallout with regard to this entire live action world. S.H.I.E.L.D. was essentially destroyed from the inside (and now only operates on television), HYDRA was revealed as a global terrorist organization, Falcon was introduced, the list goes on. Only two years later, it makes sense that Captain America: Civil War continues the trend, and its massive cast, which has earned it the nickname Avengers 2.5, certainly helps. Although it’s been stated many times that the May blockbuster is primarily Steve Rogers’ story, whatever goes down will affect everyone involved in some way, whether it’s a casualty or a friendship breaking apart. What a way to kick off the next stage of Marvel cinematic plans. Anthony Russo also added that Captain America: Civil War (which he called a "psychological thriller") will not only have a "very dramatic ending", but one "that will be controversial for a lot of people." With so many moving pieces and only two previews out so far, it’s hard to glean exactly what will happen (even with the source material readily available), although if the rumors about a certain character’s demise are to be believed, then many fans will definitely be angered. As far as how that will play into the rest of Phase Three, I wouldn’t be surprised if the Avengers disbanded entirely (rather than just debut a new lineup, like at the end of Avengers: Age of Ultron), and only the arrival of Thanos in Avengers: Infinity War will get them to reunite. We’ll find out what Captain America: Civil War has in store for the MCU when it hits theaters on May 5.